A year ago this seemed so far away, but here we are in April and Accreditation is upon us. As a reminder, UAS is scheduled for a site visit by a team of evaluators from Northwest Commission on Colleges and Universities (NWCCU) on April 24-26, 2019. 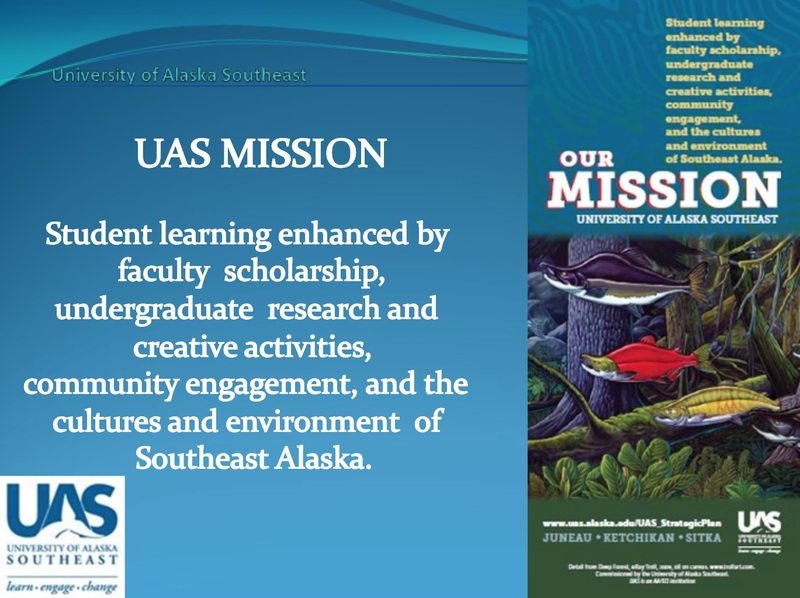 The University of Alaska southeast has been accredited by the Northwest Commission on Colleges and Universities (NWCCU) since 1983. This accreditation includes the Juneau, Ketchikan, and Sitka campuses. As a Faculty member, you should know how your course aligns with Student Learning Outcomes that are found on the Provost’s site. Here is a link to those Student Learning Outcomes. Thanks for subscribing to the FLC. Have a great weekend!